Welcome to the fall season and our wonderful “Autumn Day Trip” to Indiana for a fun-filled day of fun at the Parke County Covered Bridge Festival, Indiana’s largest festival. Let’s get our coffees and head out early, going east on Interstate-74, towards Danville and on into Indiana. • Once you’re on I-74 keep going east for around 40 minutes or so. • Turn right onto IN-63/State Road 63 and stay on this for another 23 miles. • Then, take the US-36 ramp toward Rockville/Decatur IL. • Turn right onto S. Jefferson St. The Parke County Covered Bridge Festival Headquarters is on the right at 116 W. High St. in Rockville, IN. But, that is just the headquarters to the largest festival in the state of Indiana. In fact, the county has 31 historic covered bridges all found in a rustic and charming setting that takes one back to days of simpler times. The 10 day festival features five maps of covered bridge tours that include nine communities where various festivities take place like craft and vendor sales, outdoor recreation at Raccoon Lake, canoeing at Sugar Creek, food, hog roasts, “buried” beef, a Quaker community, historic mills, old railroad depots and theater features. There are five driving routes that leave the festival headquarters. They all take various scenic routes in a varied amount of time. The shortest route, the Brown Route is 24 miles and takes festival-goers through four bridges. The other routes: Blue, Yellow, Black and Red Routes range from between 33 and 36 miles, and are a bit more comprehensive. We recommend the Red Route, because you will see more bridges on this route for a total of eight bridges. The headquarters has a driving routes guide, complete with step-by-step instructions. Some of the routes are paved and some are not. The guide is free. There are six areas to check-out, too. The first is the Turkey Run State Park Area. The Blue Route explores parts near the park, and the area offers eleven overnight destinations, if you just want to stay the night after all that exploring. 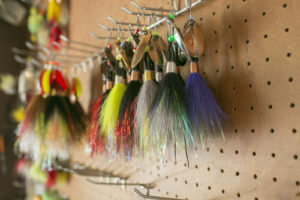 They have everything from an inn, the Turkey Run Inn, to cabins like the Gobbler’s Knob Cabins, camps of all varieties such as the Sugar Valley Canoe Camp, and bed and breakfasts like Granny’s Farmhouse B & B. Like to horseback ride, or maybe a go-kart? They have these, too. Or maybe you’re a golfer who enjoys getting out on the green or a canoeist that likes to let their worries flow down the river. Well, you’re in luck! For eager water enthusiasts, there is the Raccoon Lake and the Rockville Lake Areas. More rustic festival goers will enjoy the Mansfield, Rosedale and Bloomingdale Areas. The Rockville Area has quite a variety of places to relax and spend the night with four motels, four bed and breakfasts, a guesthouse, an inn and suites, the distinctive Pat’s Pad, and the Old Jail Inn. Plus, if your party is interested in the camping scene, there are 15 county, state and private campgrounds to check-out. There are also “Maple Syrup Camps”- in season of course, but you’ll have to trek back in the spring when they tap those trees for that precious sugar water that becomes maple syrup. 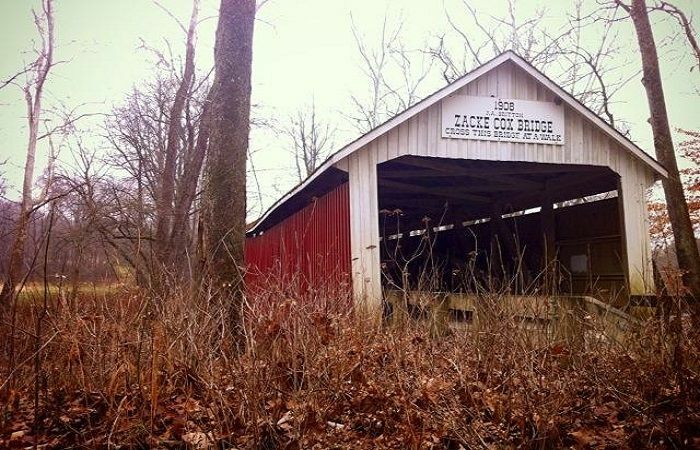 The Parke County Covered Bridge Festival takes place this year from October 14-23. For more information, go to www.coveredbridges.com or email them at info@coveredbridges.com. You decide you need a new home.